This Pvt. Company from Lahore Wants to Hire Women Who Don't Wear Abaya/Scarf and It Seems Messed Up! This Pvt. Company from Lahore Wants to Hire Women Who Don’t Wear Abaya/Scarf and It Seems Messed Up! It is the modern 21st century – women all over the world are fighting for basic freedom and rights. The basic freedom and right women are fighting for includes the choice and decisions they make. From fighting against the gender pay gap to having the liberty to wear whatever pleases them, these basic rights vary country to country and Pakistan is no different. Women in Pakistan are labelled by all sorts of demeaning remarks if they choose to dress in a freely manner. The every day example lies in the comment sections of images of Pakistani female models and actresses who choose to dress the way it pleases them. While it is liberating to see, can we please have the same energy when it comes to those who decide to cover themselves by wearing scarves and abayas? Such a culture prevails in the corporations as well. LinkedIn, a common professional website where employees, recruiters and businesses gather to explore potentials is your spot if you are looking for job opportunities. 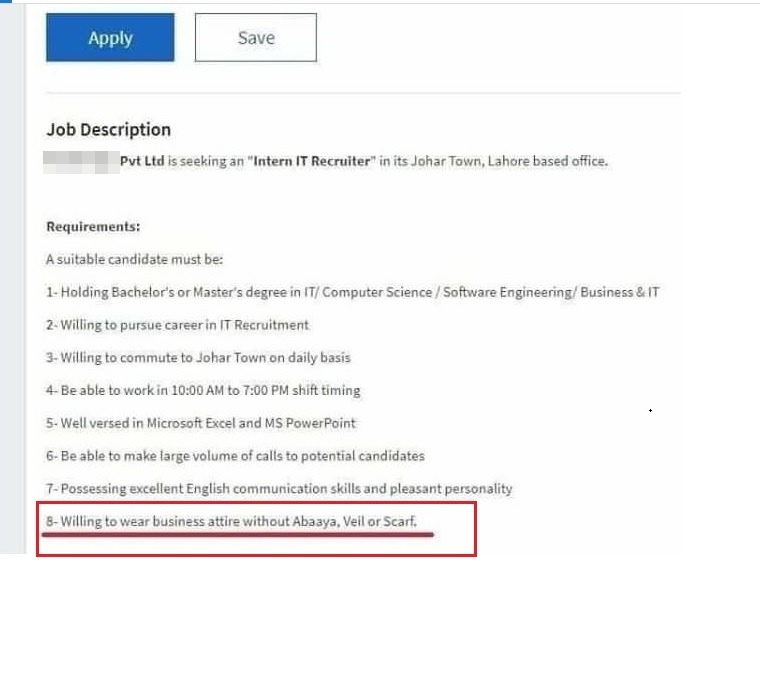 A private Pakistani software development company posted an ad on LinkedIn and well, it was super absurd. This company is situated in Johar Town, Lahore and it is pretty safe to say they have a good name in the software development industry. However, their job posting was extremely discriminating because it does not allow women who cover themselves to apply. So the universities in Pakistan include “covering yourself” as an important part of the dress code. On the other hand, there are these workplaces who require women not to cover themselves or they won’t be hired. Can these institutes decide what do they REALLY want from women before toying them like this? 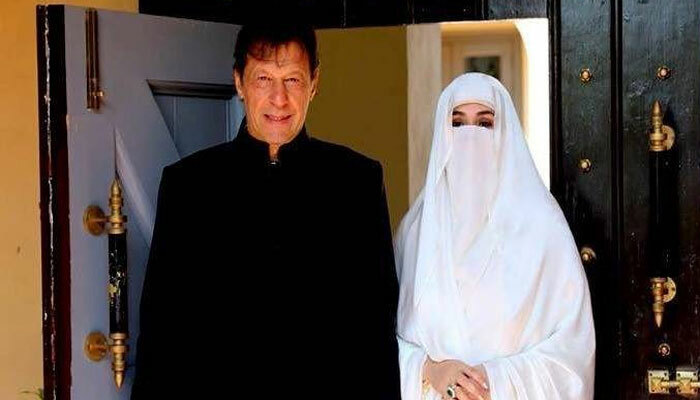 Choosing to wear an abaya or not is a choice; it is not present in the constitution of Pakistan. Choosing to wear an abaya or covering one’s head does not make them any less professional, just like wearing business attire does not make them fully professional. Let women choose how they want to represent themselves. The representation of dressing should not be the code of job rejections!